While majoring in English at UCLA, Velina Minkoff applied for the Creative Writing Fiction program. There, she studied with contemporary American writers Aimee Bender and Carolyn See, among others. There was considerable interest in her stories about Bulgaria. Her fictional series Iodine was published in four consecutive volumes of the Student Committee for the Arts publication Split Peas – Fiction and Photography; her story The Old Woman won the Harry Kurnitz Creative Writing Award for writers whose native language is not English. Her short story Voices was selected for the First Annual UCLA Day for the Arts, where the author read before an audience of almost 300 people. Her first book, Red Shorts, is a collection of stories she wrote during the years she spent in UCLA creative writing workshops. 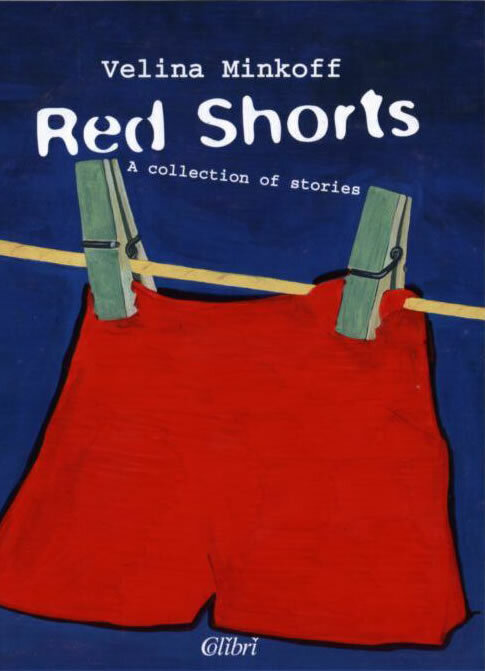 Red Shorts, or short stories from communist times, is a collage of memories written down in the natural pattern of recollections. It is not a memoir or an autobiography. Its stories recount a passionate, almost subconscious search for explanations among snippets of childhood flashbacks. From deeply personal to ideological, from political to historical. Why were things the way they were? Was that how they were supposed to be? Memories can answer many questions. Velina Minkoff was born in Sofia in 1974. She has a degree in English from UCLA with a track in Creative Writing – Fiction. She was a Bulgarian-language fellow at the annual Sozopol Fiction Seminars of the Elizabeth Kostova Foundation (2014) and resident literary translator at Open Letter Books, USA (2016). Her debut novel The Red and Blue Report of the Green Ameba came out in French under the title Le Grand Leader Doit Venir Nous Voir (Actes Sud, 2018). She lives in Paris, where she teaches English, freelances as a translator and is currently working on her second novel and a new collection of short stories.